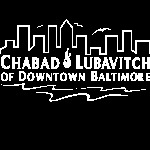 Chabad of Downtown is happy to announce that starting this November we will offer the highly acclaimed Jewish Learning Institute courses in the downtown business district during lunch time. JLI aspires to be the pre-eminent provider of adult Jewish education, and to continue to set new standards in the field. We are a learning organization, listening and responding to our affiliates and students so we can continue to grow in new ways. Our holistic approach to Jewish study considers the impact of Jewish values on personal and interpersonal growth. Drawing on research-based instructional design and cutting-edge approaches to adult learning, JLI's innovative presentation of traditional Judaism is designed to be both intellectually rigorous and highly accessible.